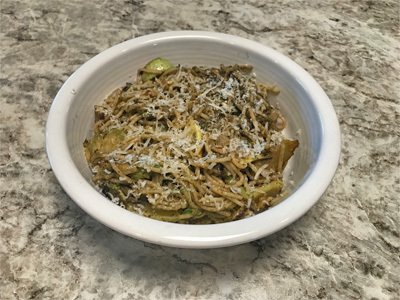 We usually try to only include ingredients in these recipes which are produced locally and to avoid food items which are known for having a large carbon foot print, but since fennel pairs so beautifully with citrus we cheated a little bit. 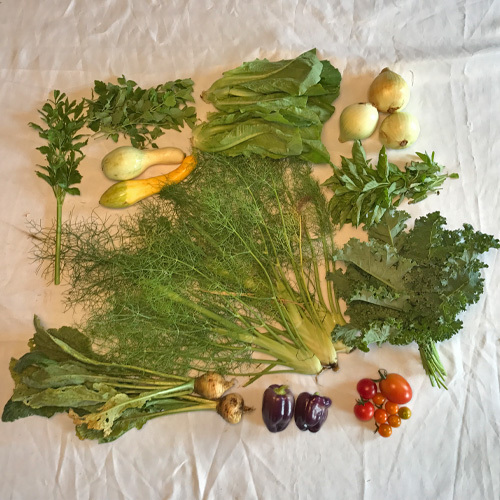 Most of the salads we include in these blogs are very basic but we went more elaborate with the Fennel and Citrus salad below and it was definitely worth the trouble. To make creamy dressing- whisk 1/4 cup of mayonnaise, 2 tbsp of apple cider vinegar, 1 tsp of sesame seeds, 1 tsp of honey, 1/4 tsp of salt, and 1/4 tsp of pepper. Chop 1 bunch of kale into 1/2 inch ribbons. 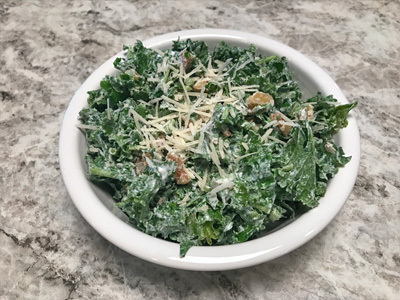 Add chopped kale to bowl and massage greens with hands to increase the tenderness and juiciness of the leaves. Add 1/2 cup of chopped walnuts, 1/4 cup of grated Parmesan cheese, and creamy dressing. Toss everything together and serve. Dice 1/2 onion and add it to a stockpot with 1 tbsp of cooking oil. Cook onion until translucent. Add 1 clove of crushed garlic and cook for 2-3 minutes. Peel and chop 2 turnips and 2 russet potatoes into 1/2 inch cubes. Add turnips to stockpot and cook for 5 minutes. Add 1/4 cup (1 bunch) of lovage and cook for an additional minute. Add 2 cups of chicken stock, 1 tsp of salt, 1/2 tsp of ground black pepper, and chopped potatoes and cook for 15-20 minutes or until potatoes are soft. Transfer soup to blender and blend until smooth. Fennel dressing- Peel fennel leaves off from base and finely chop the leaves from the light-colored bottom up to the stem before the fronds begin. Finely chop 1/4 of an onion and about 2 tbsp of ginger root. Add 1/3 cup of olive oil to a skillet and bring to medium heat. Add chopped onion, fennel, ginger, and 1 tsp of fennel seed to skillet. Cook for 8-10 mintues, and stir frequently to prevent mix from browning. Remove from heat and add 1/3 cup of white wine vinegar, 2 tbsp of honey, 1 tsp of salt, and 1/2 tsp of ground black pepper. Allow mixture to cool. Sesame clusters- Preheat oven to 350 degrees F. Wisk 1 egg white until slightly foamy, then whisk in 2 tbsp of sugar, 1/2 tsp of salt, and 1/4 tsp each of cinnamon, nutmeg, and ground clove. Add 2 cups of sesame seeds. Spoon mix onto baking sheet with parchment paper in small clusters. Cook for 12 minutes, or until the clusters turn golden brown. To assemble salad- Finely grate 1-2 tsp of navel orange zest. Peel 1-2 oranges and chop into 1/2 inch sections. Chop romaine lettuce into thin ribbons. 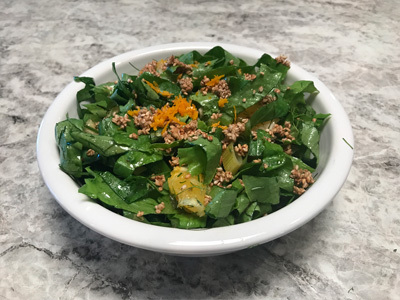 Toss fennel dressing, chopped oranges, and romaine lettuce together and add orange zest and crumbled sesame clusters as garnish. Boil 2 chicken breasts cut into 1 inch cubes, about 2 cups. Boil until chicken is cooked through, then drain and shred chicken. Chop 1 onion and 2 bell peppers, and crush 1 clove of garlic. Heat 2 tbsp of cooking oil in skillet over medium heat. Add chopped onion, bell peppers, and garlic to skillet and saute until onions become transluent. Add 2 cups of shredded chicken, 1 cup of chicken broth, and 1-2 tbsp of fajita spice mix. Simmer, uncovered, for about 25 minutes, or until liquid has cooked off. To assemble, preheat tortilla with mexican cheese mix. 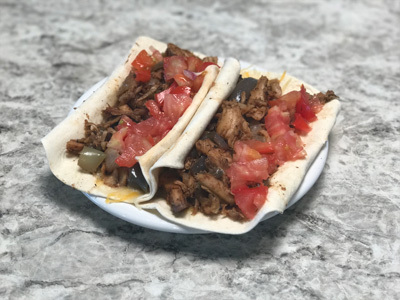 dice up mixed tomatoe and add fajita mix and diced tomatoes to heated tortillas. Add 1 bunch of basil, 1 bunchof lemon balm, 1/4 cup olive oil, 2 teaspoons of salt, 1 teaspoon of pepper to a blender and plend until all ingredients are mixed. set aside for later use. Add 1/2 package of angel hair pasta to boiling water and cook until just about done. Do this while you are preparing your summer squash. 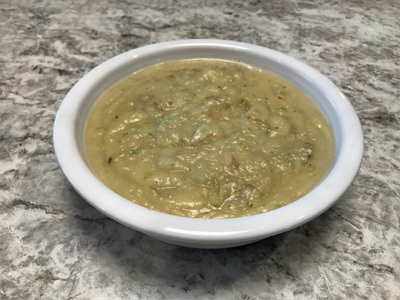 To prepare summer squash add 1/2 onion sliced and 1 crushed diced galic clove, and 2 chopped summer squash to a skillet at medium heat with 2 tablespoons of olive oil. suate until squash is soft and everything is caramelized about 10 to 15 minutes. Add the angel hair pasta and cook an additional 2 to 5 minutes. Take off the heat and add the desired amount of pesto. Save pesto in an air tight container for later use. Grate desired amount of parmesan over each serving.